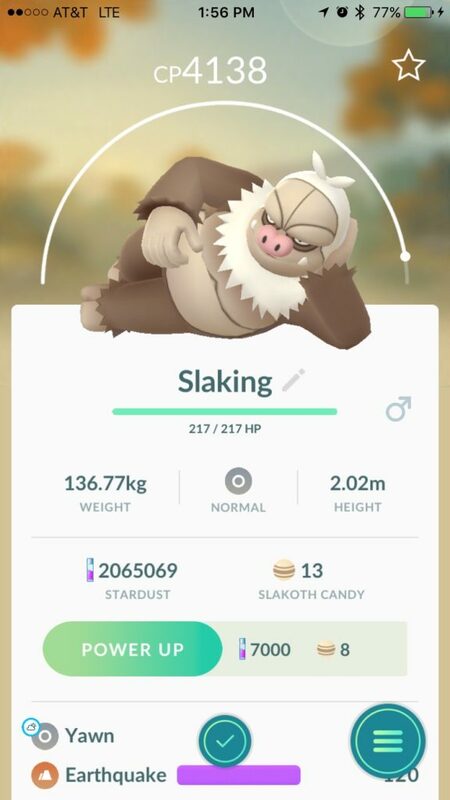 Slaking is the Pokémon everyone playing Pokémon GO wants right now. Even though plenty of information has come out about it being extremely overrated, it is hard to resist the Pokémon with the highest CP in the overall game. 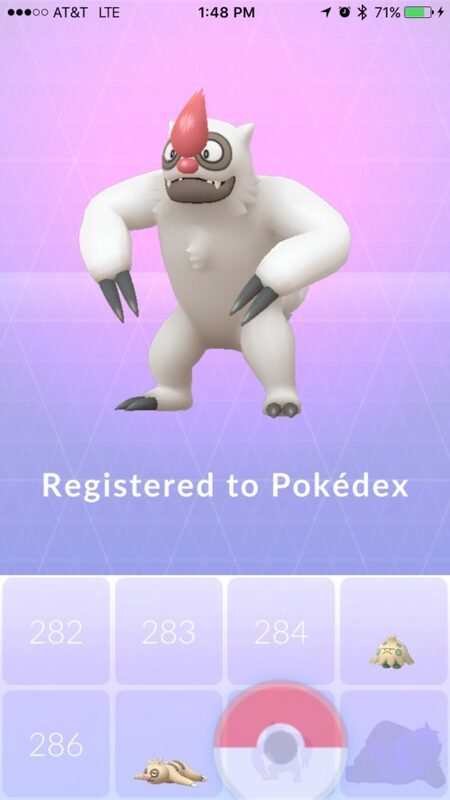 Since the Gen 3 launch nearly a week ago I’d only caught a few Slakoth leading up to today so I was preparing for a months long journey to getting my first Slaking, much like my time working toward Dragonite and Tyranitar. Imagine my surprise when I was on my way to work and stumbled upon a small neighborhood which was bursting at the seems with Slakoth. Everywhere I turned there was another and another. I just kept catching them over and over. With it being party cloudy everything I was catching was weather boosted and I caught a few with decent IVs. I also stumbled upon my first Vigoroth, Slakoth’s evolved form. I’d seem a silhouette of one on day one of the Gen 3 launch that I passed up, not yet realizing what it was. He had a really high CP but, not thinking anything of it, I used a Pinap berry and caught him on the first throw. It turns out he had IVs of 96% and was level 34. It turned out from all the Pinap berries I’d used and all the Slakoth I’d caught I was already ready to evolve my first Slaking. I did not delay and was not disappointed. 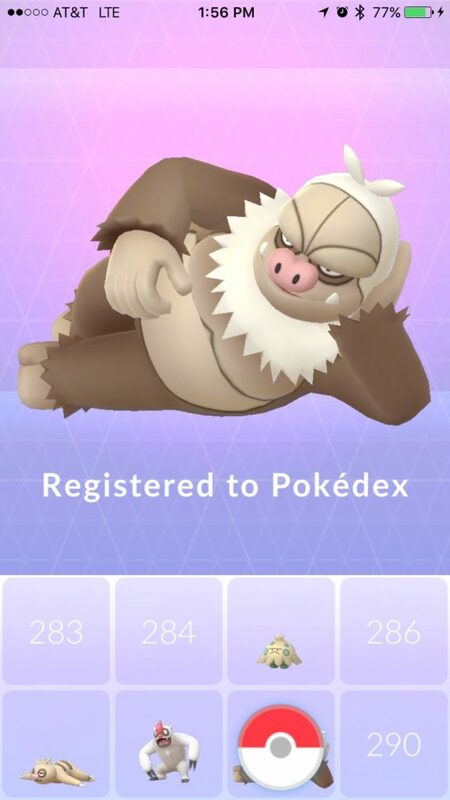 Slaking instantly became my most powerful Pokémon in the game by almost 1,000 CP (I never power anything up). After evolving him I still continued to catch Slakoth on the rest of my afternoon journey to work. So, what happened? Why was a Pokémon so hard to find all of a sudden spawning like Pidgeys? I was under the impression that Slakoth nests didn’t exist, much like Dratini and Larvitar. Momentarily I thought I’d simply stumbled upon a nest. After more thinking I’m wondering if some weird switch was accidentally flipped and suddenly they were spawning everywhere in the game for a brief time. At any rate it was a pretty remarkable hour or so of playing the game. On the one hand it’s exciting to have my most powerful Pokémon without even needing to use any candy or stardust to power up. On the other hand some of the thrill of the hunt is now suddenly gone. I can’t remember any Pokémon that I’ve desperately wanted that took me so little time to catch. I walked Larvitar for well over one hundred kilometers to get enough candy to evolve right before raids came out. I walked and hunted Dratini for months. Even Abra and Machop took me forever in the days before Pinap berries. I don’t know if there’s any truth to my theory of an accidental mega spawn but I’d be interested to know if anyone else experienced any similar situations today. With Slaking out of the way so early I’m not setting my sights on Ralts and eventually Gardevoir. Ralts has been another rare find in my area. I’m not sure if another Mega Spawn is possible but I’m intrigued to find out what exactly happened today. In the meantime I’ll be putting my Slaking in gyms where, apparently, it will be nowhere near as effective as I’d hoped.